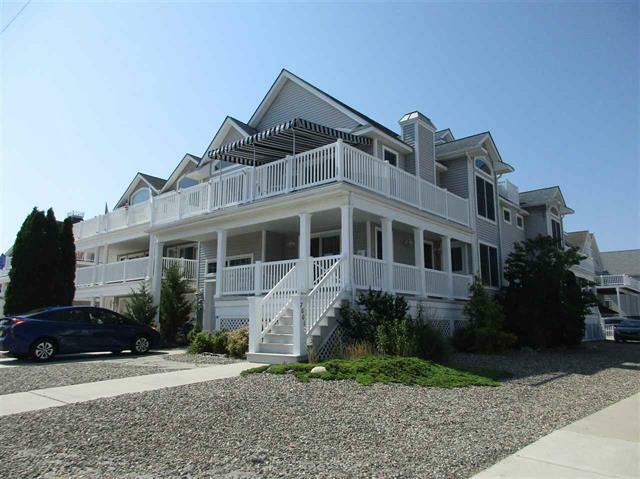 7001 Landis Avenue, North Unit, Sea Isle City, NJ - Farina & Boeshe Real Estate Co. Exceptional Tom Welsh built corner townhome. Never rented, lightly owner occupied unit in preferred beachblock location. First floor has two bedrooms, media room and full bath. Living area, kitchen-dining area, 1 bedroom, 1 bath on the second floor. Master bedroom and bath on third floor. Extremely well maintained and turn-key ready. Shown by appointment only.